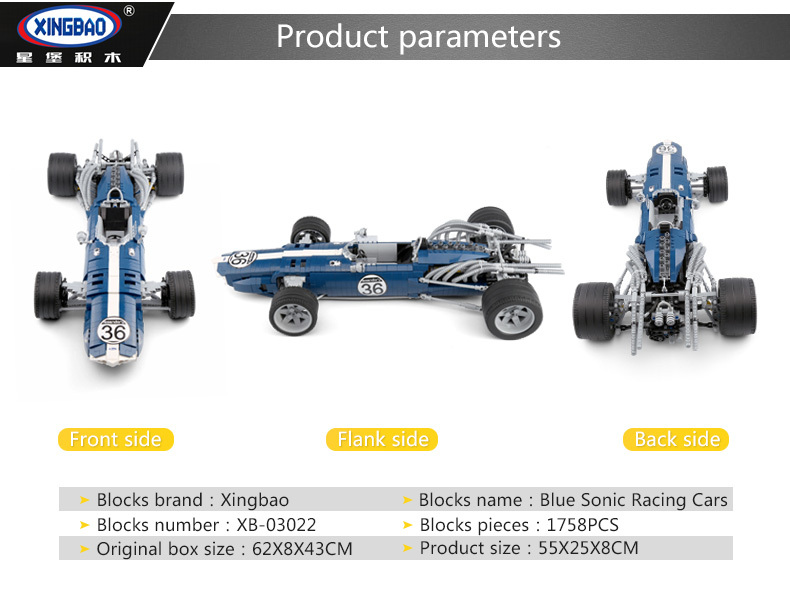 XINGBAO 03022 Blue Sonic Racing Cars is a MOC (My Own Creation) building blocks set which is 100% compatible with all major brands building bricks. 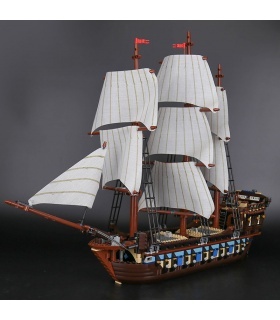 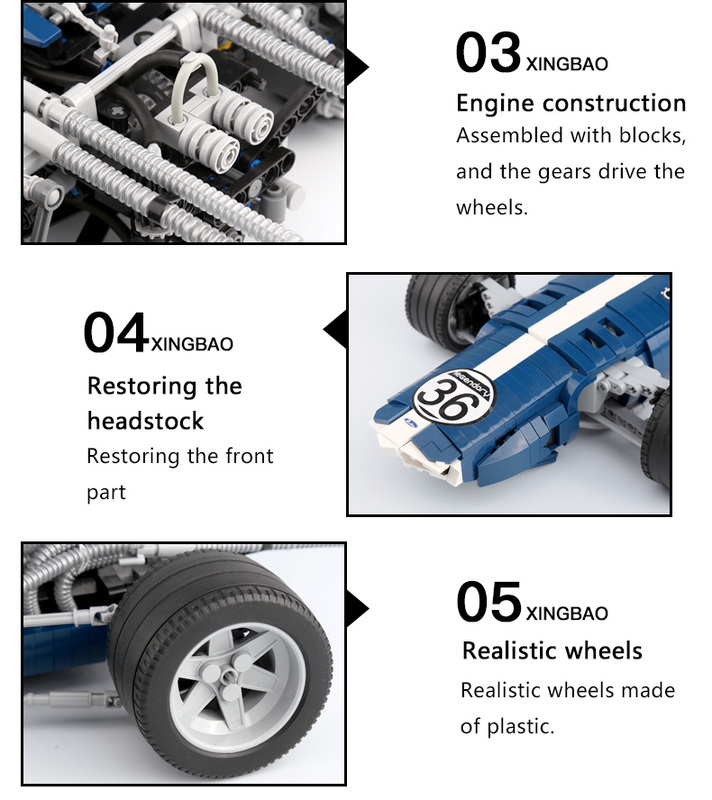 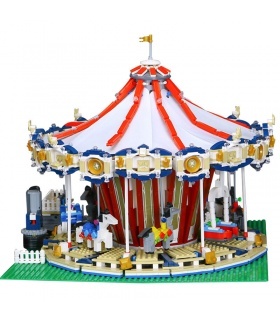 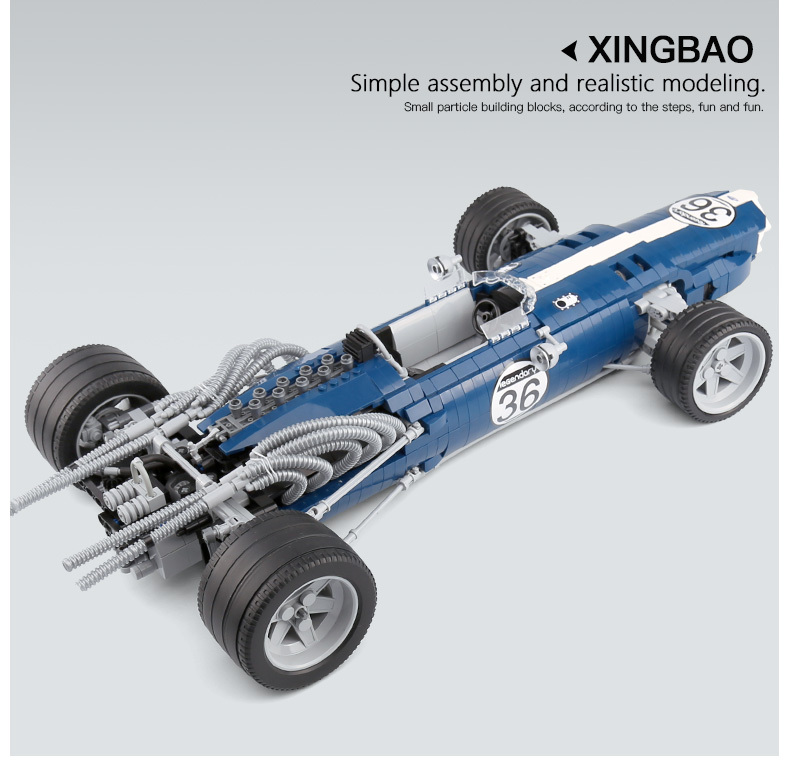 XINGBAO building blocks is famous for their high quality and original designs. 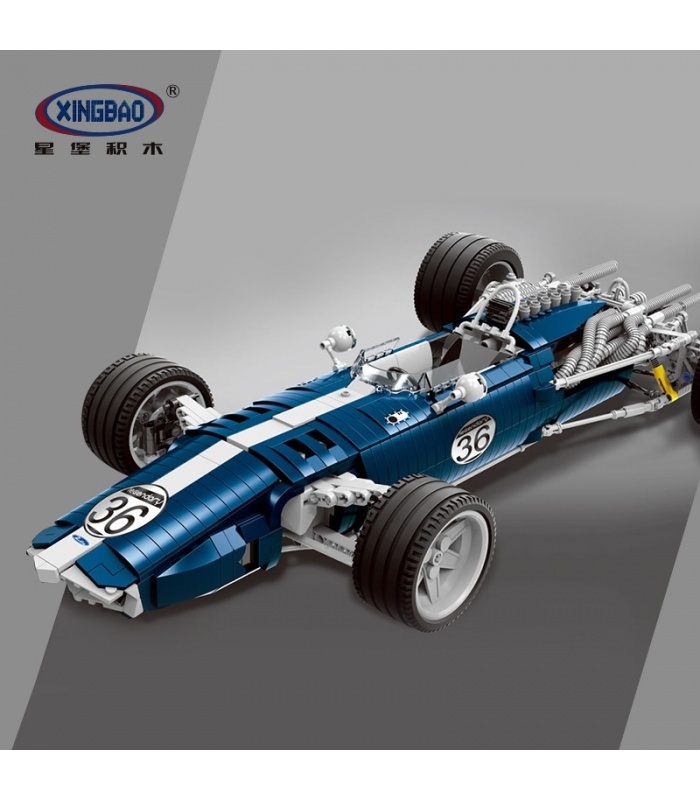 All XINGBAO bricks are made of top quality ABS plastic and produced with the authorization of the designers. 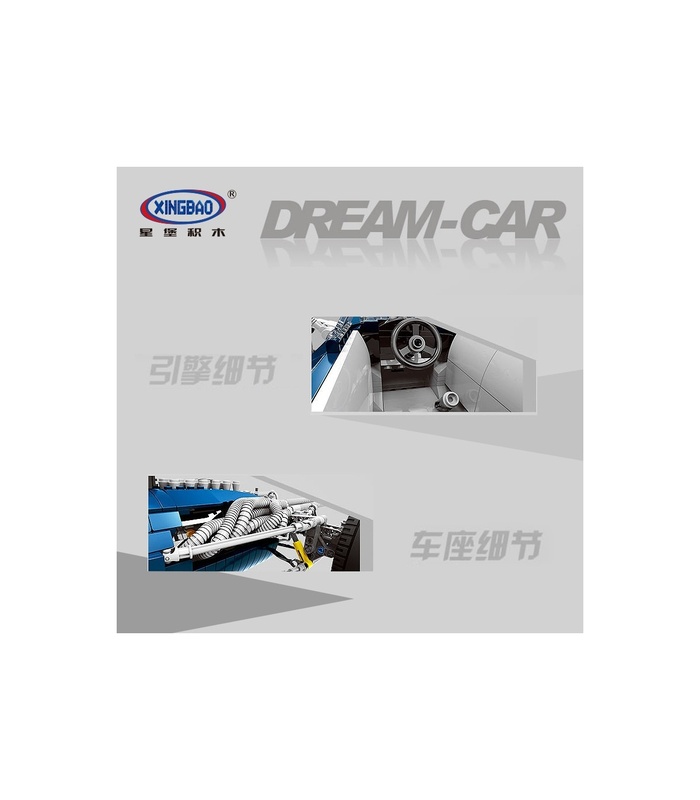 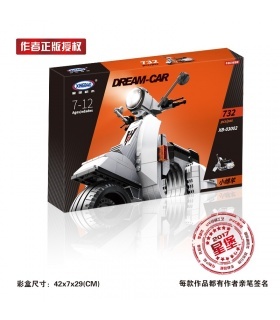 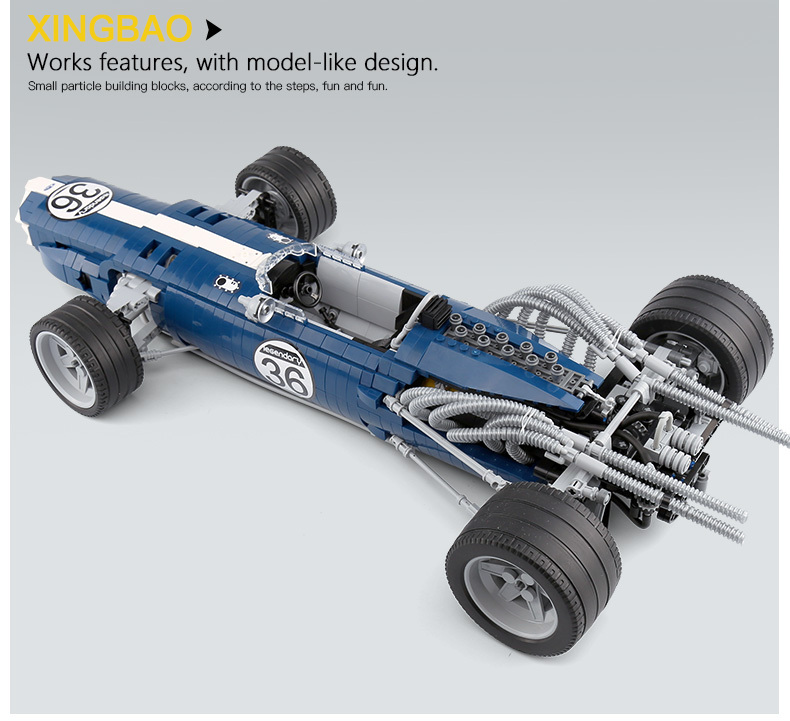 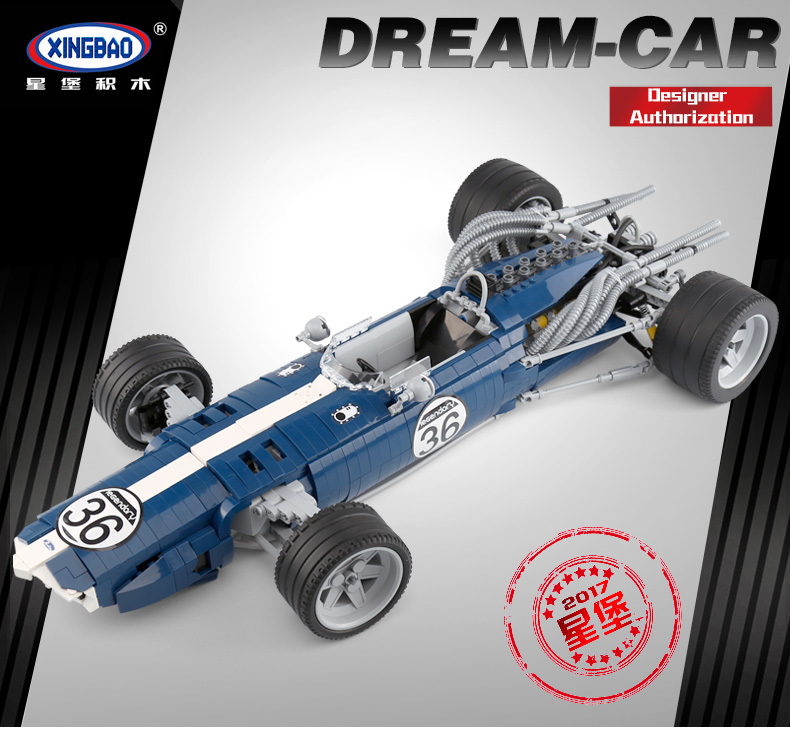 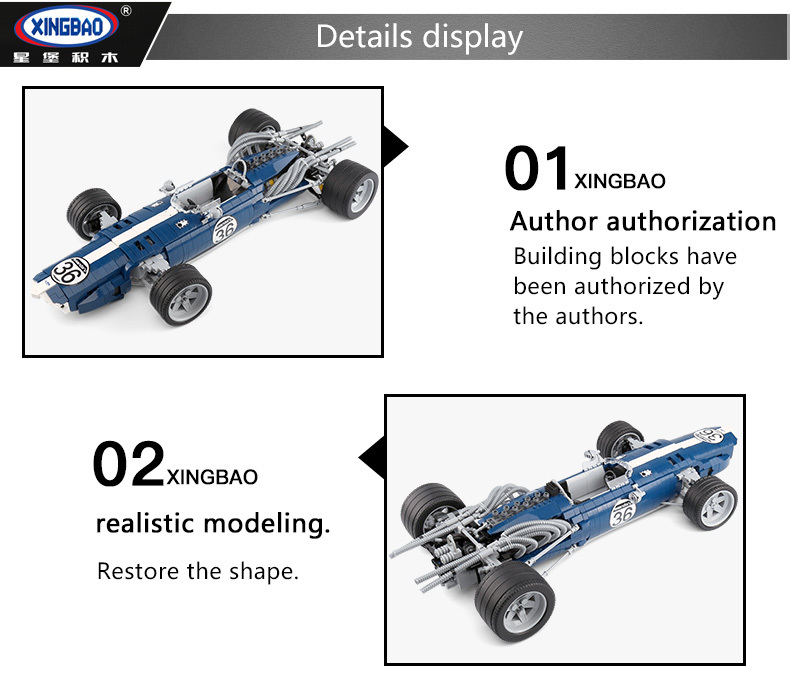 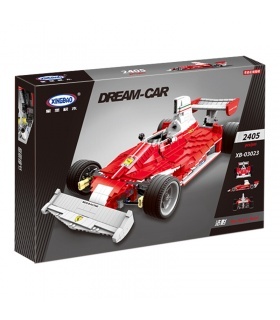 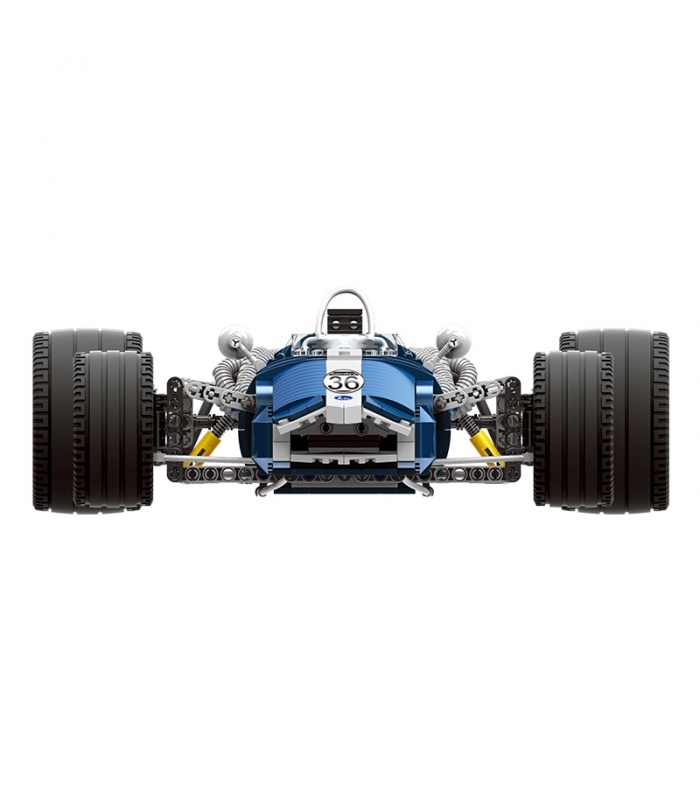 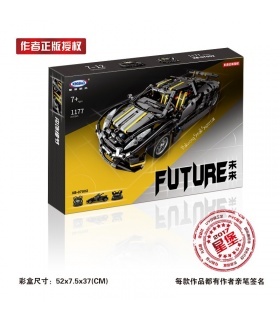 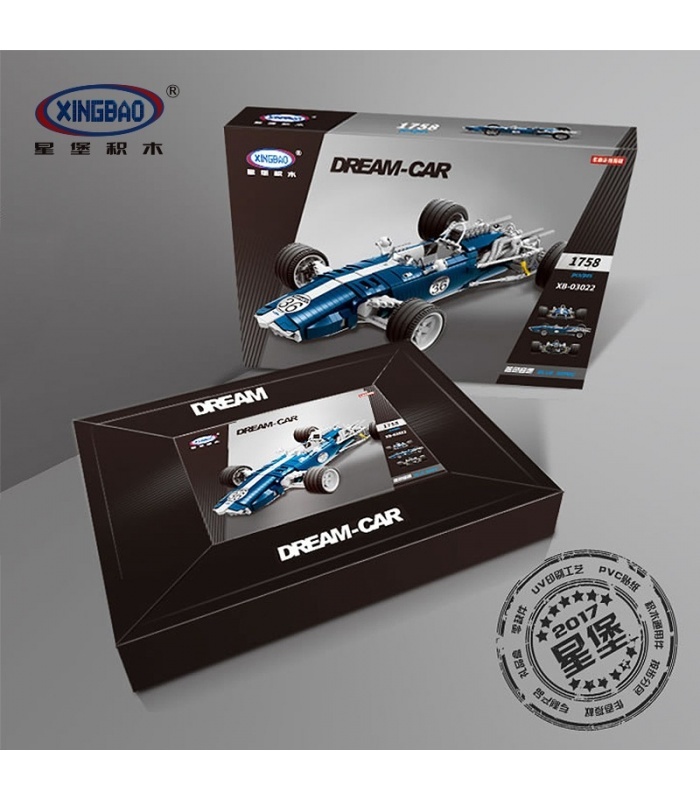 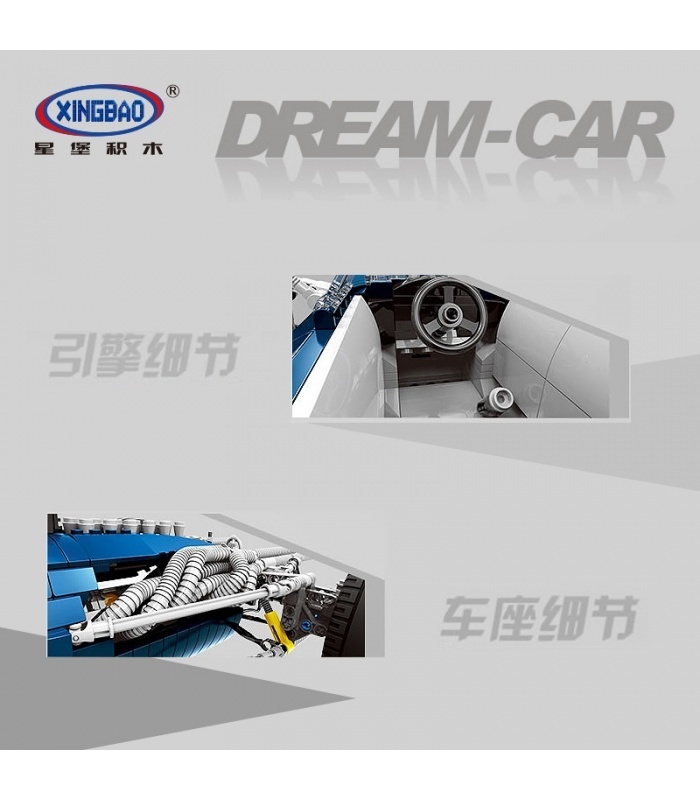 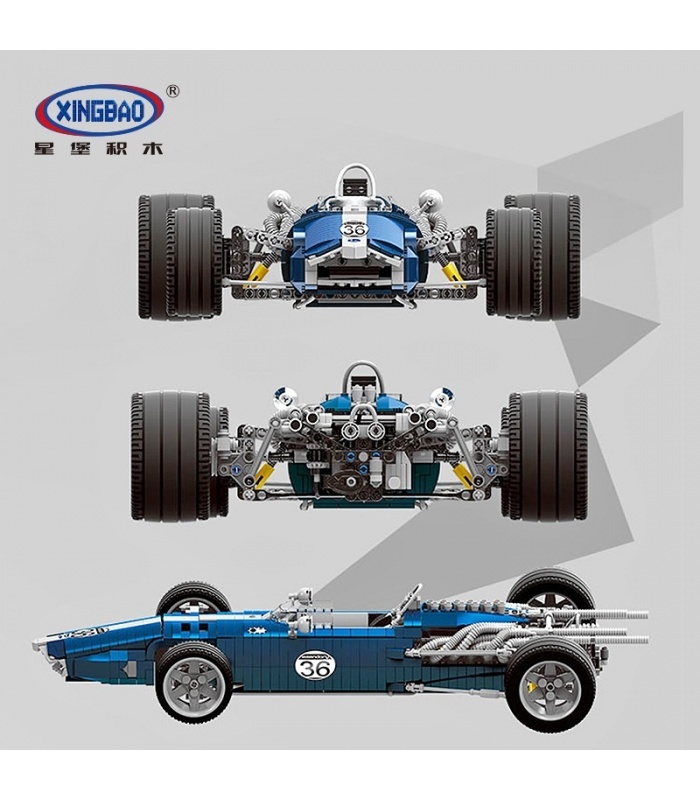 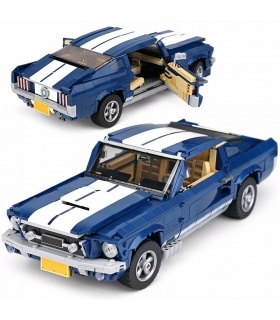 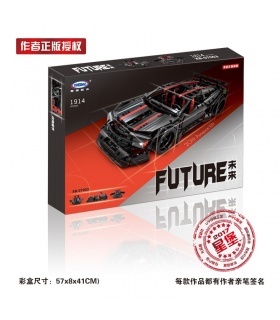 This member of the Xingbao Dream Car series will have your heart racing! 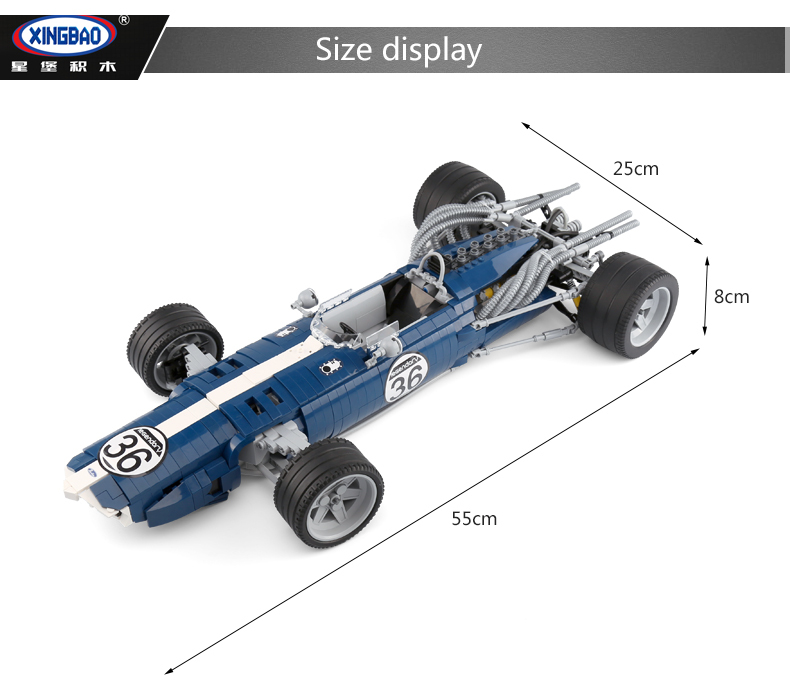 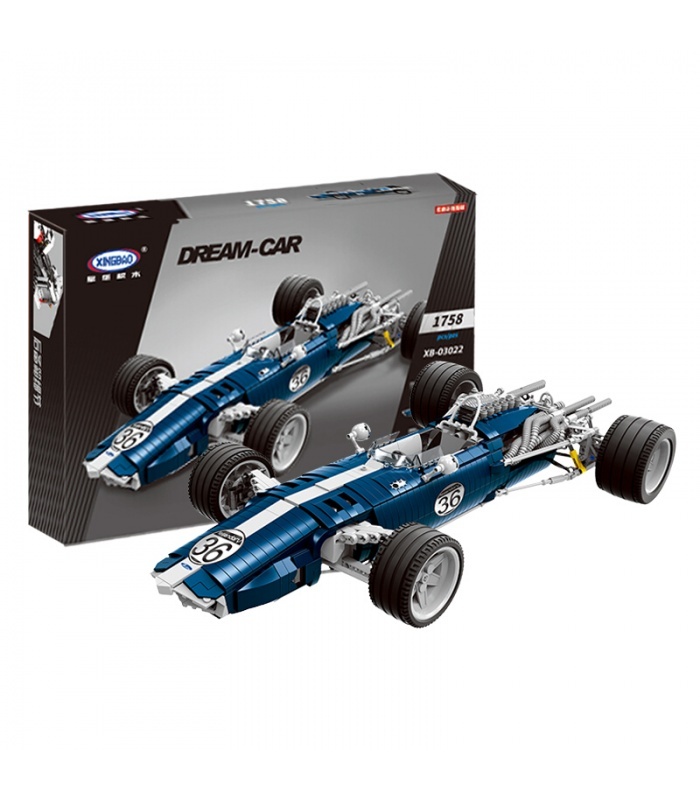 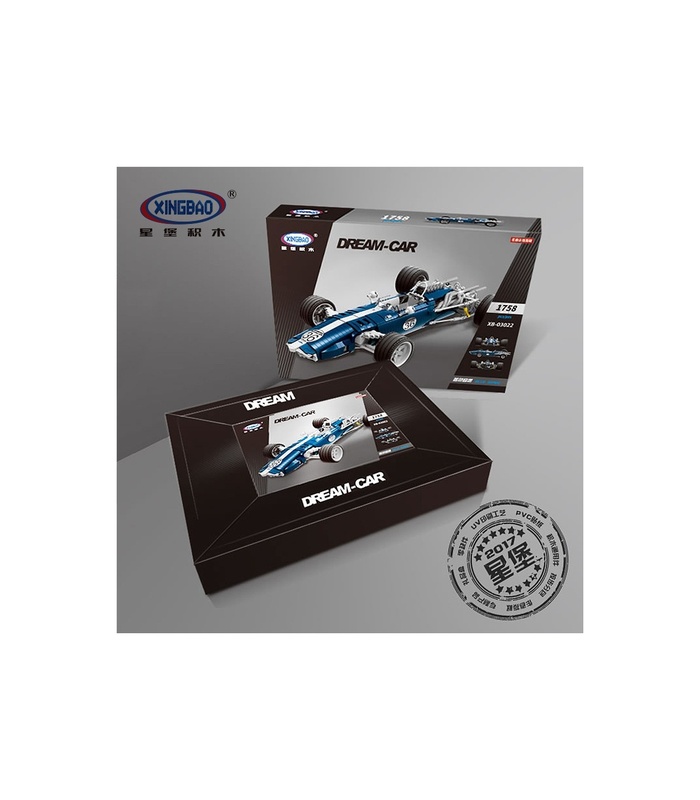 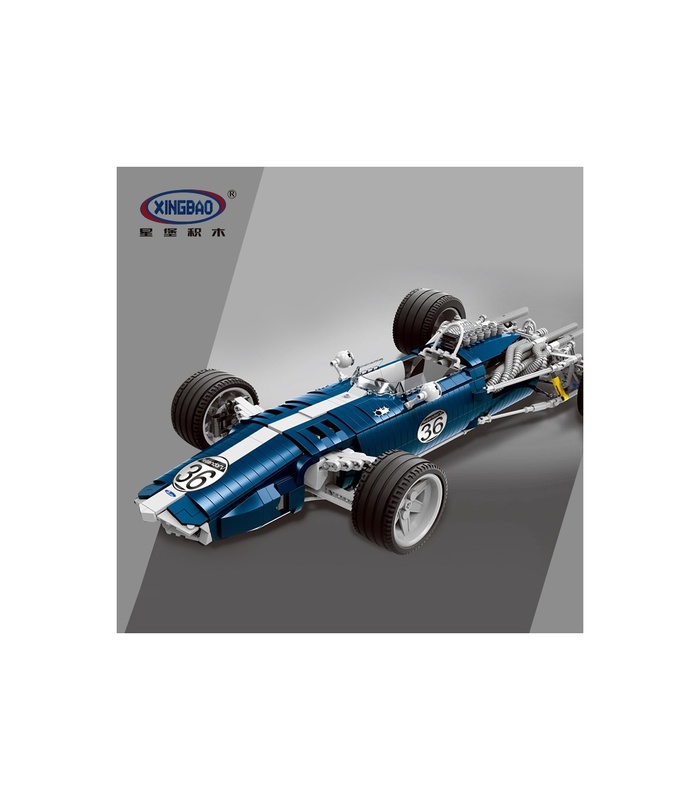 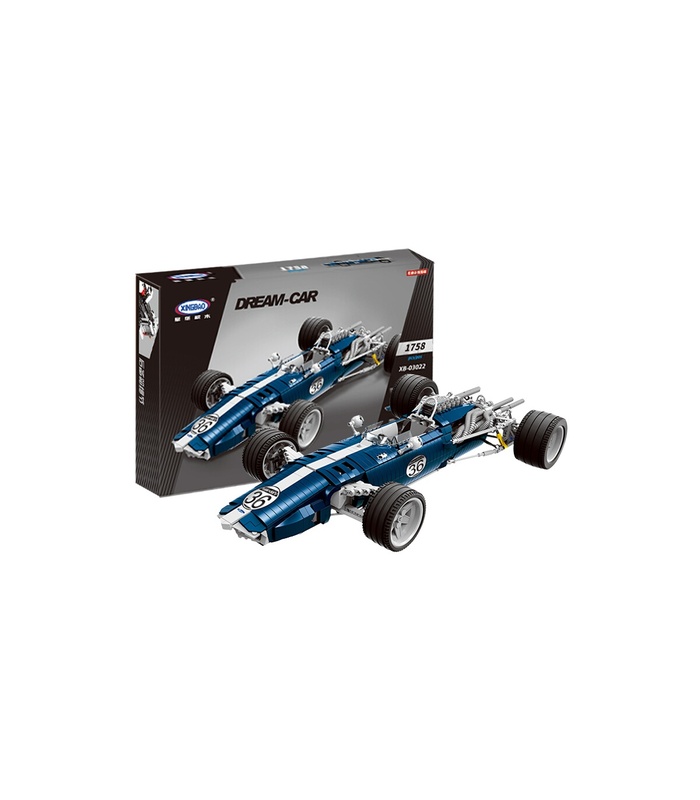 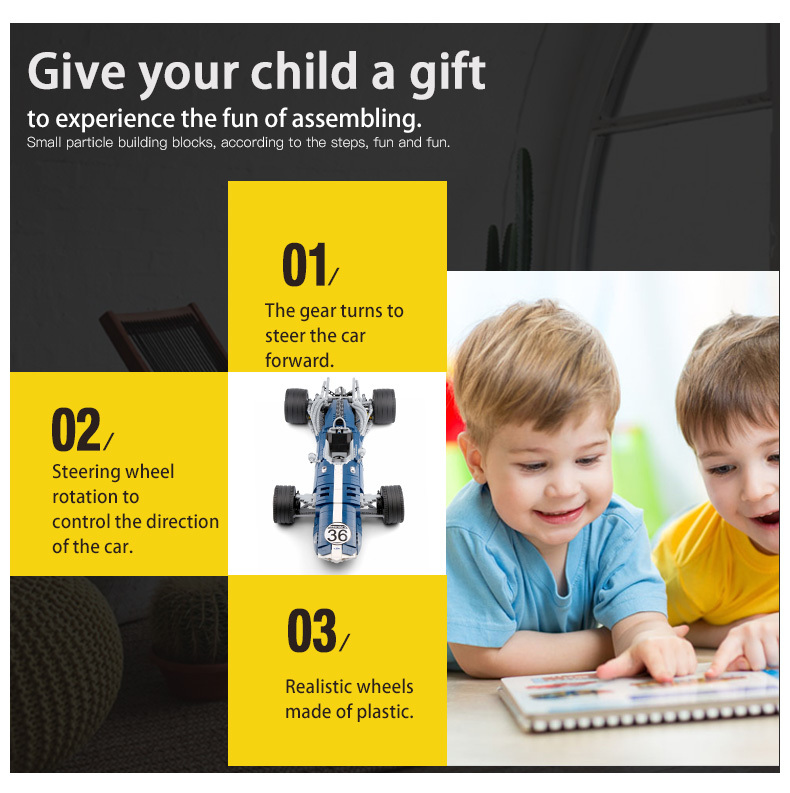 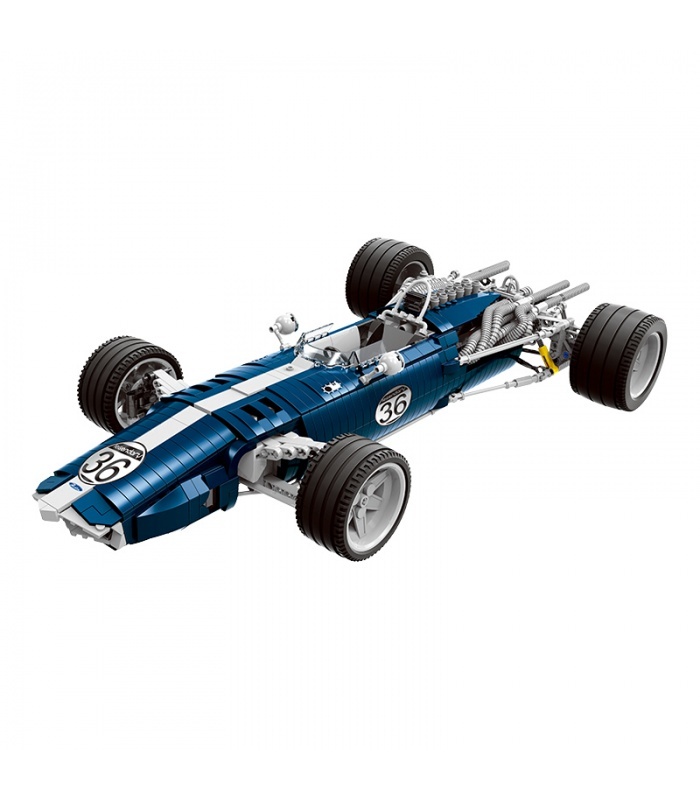 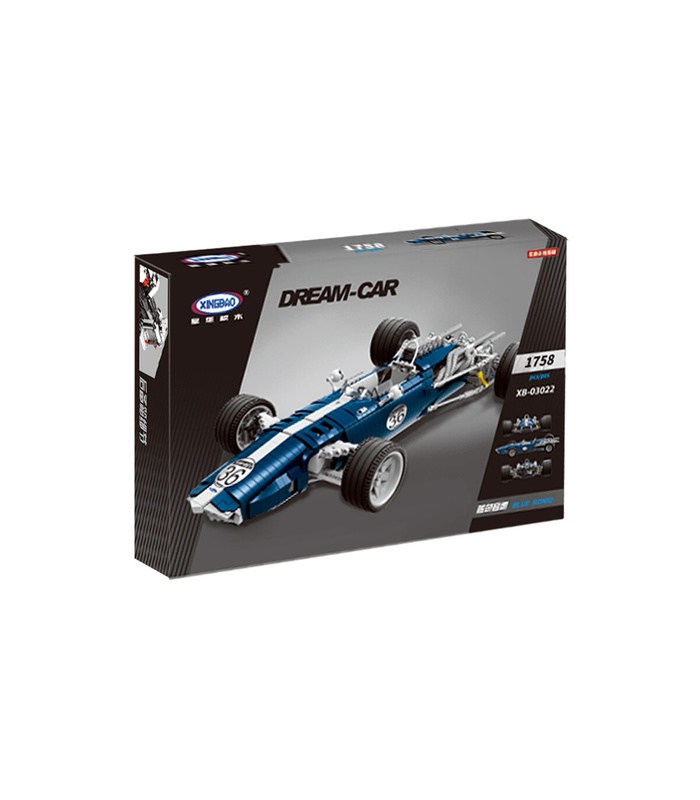 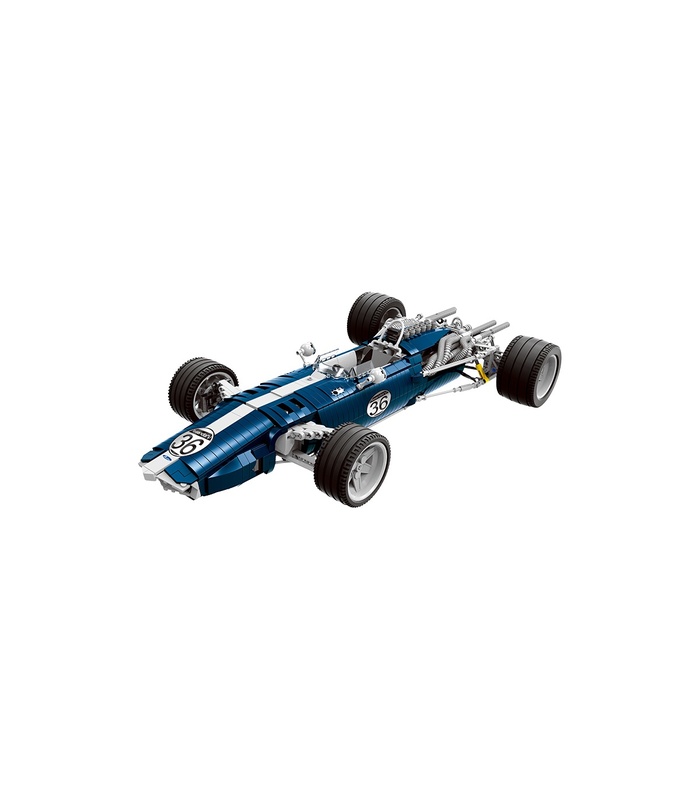 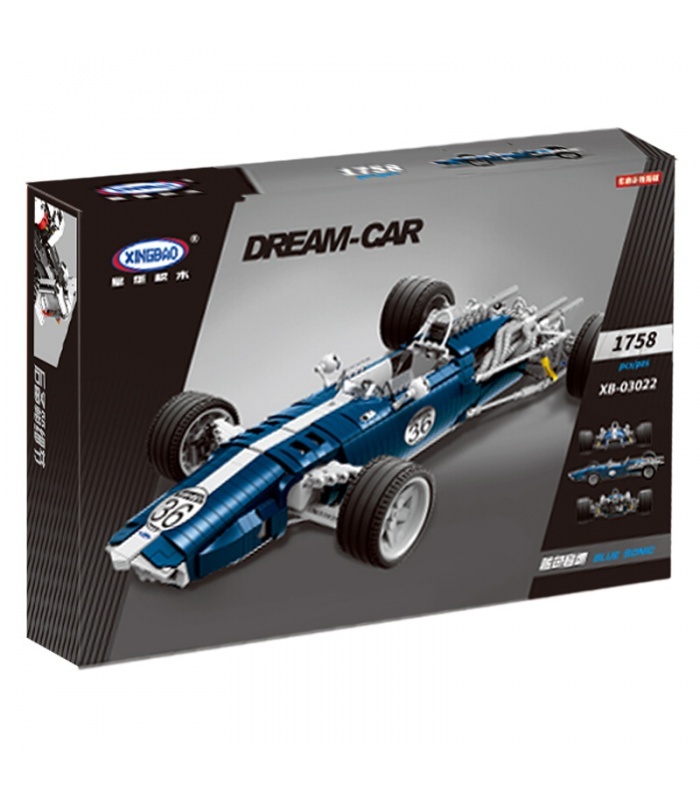 With its realistic looking replica V12 engine, exhaust pipes, and functional steering system, the Blue Sonic Racing Car has sped right out of the Grand Prix race track and into your Xingbao brick world! 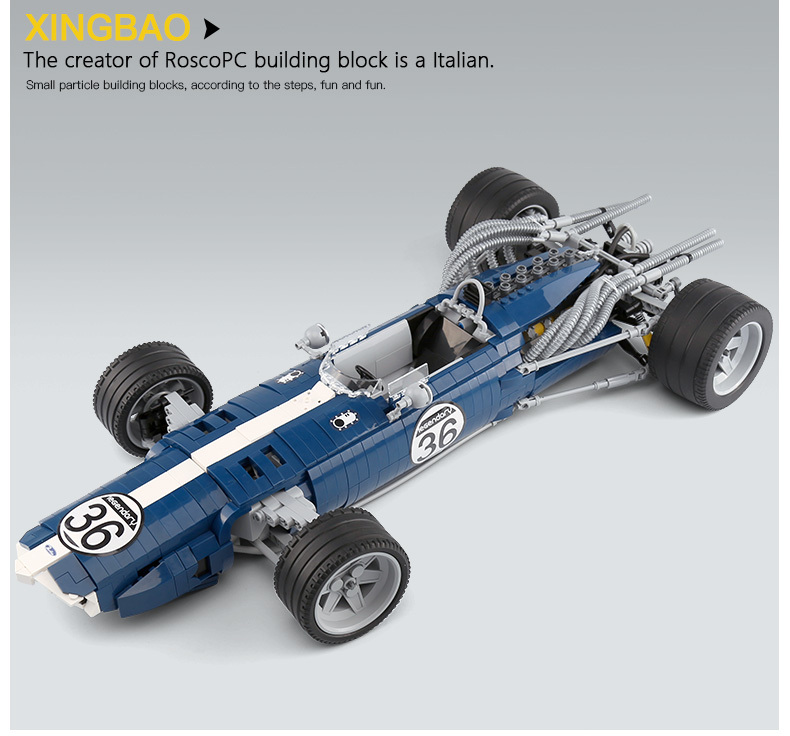 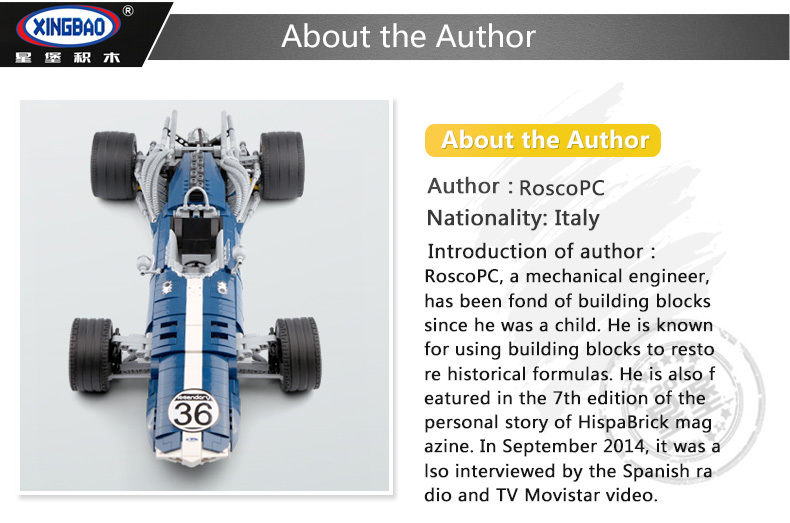 This car was designed by renowned mechanical engineer and brick fan RoscoPC, using interesting and detailed building techniques to give it a polished and custom look. 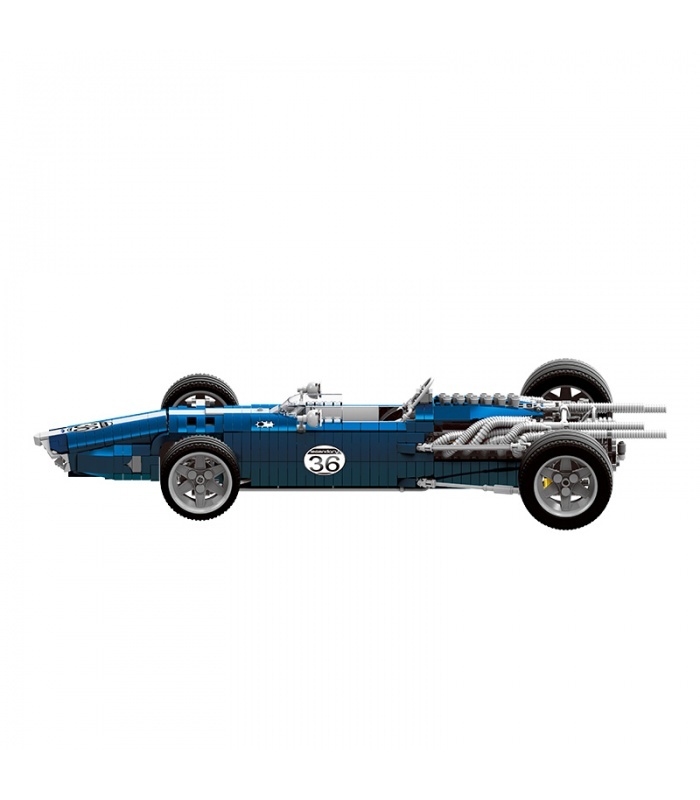 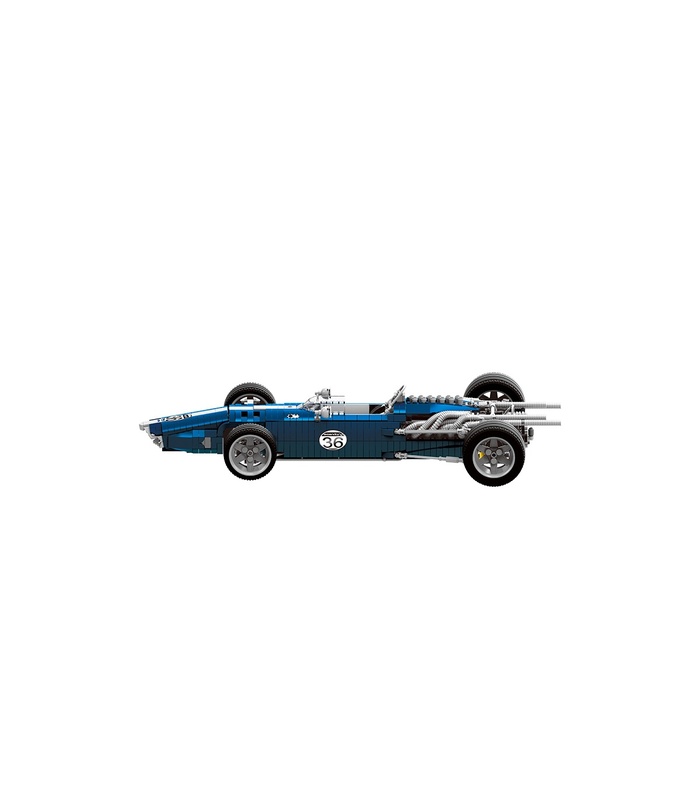 Based on the classic Eagle Westlake Formula 1 car, the completed model is 55 cm long, and makes an impressive display piece in your collection. 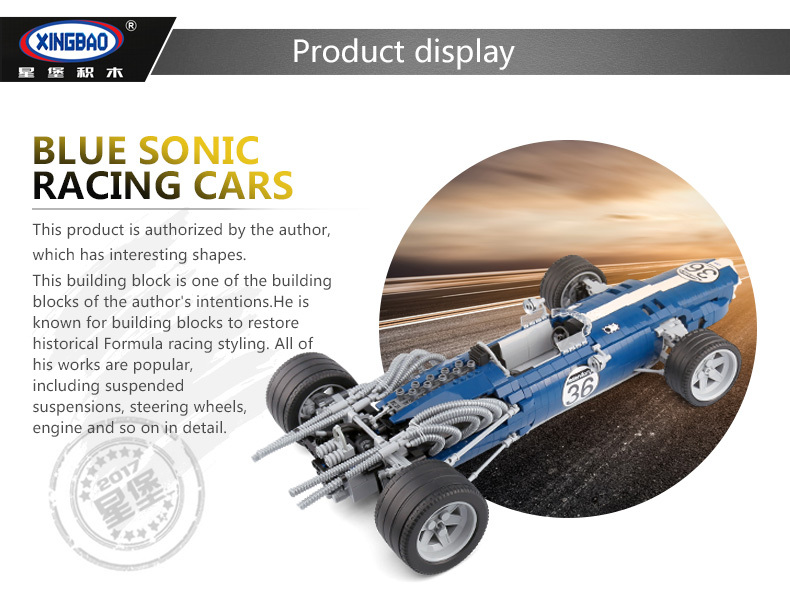 It it's sure to be admired by all race fans and those who appreciate classy automotive design. 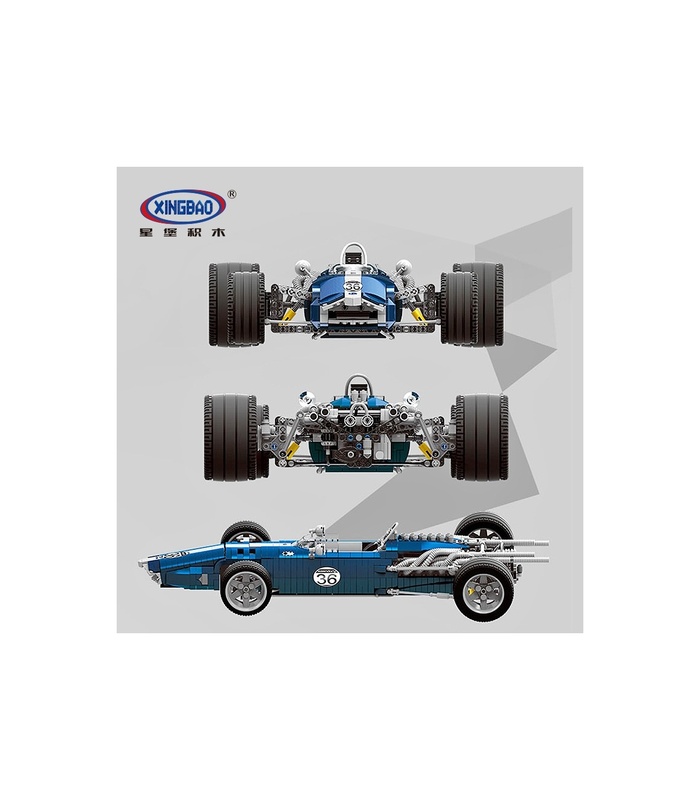 Active from 1966-1969, the Eagle Westlake is considered by many to be one of the most beautiful Formula 1 racing cars ever to take to the race course. 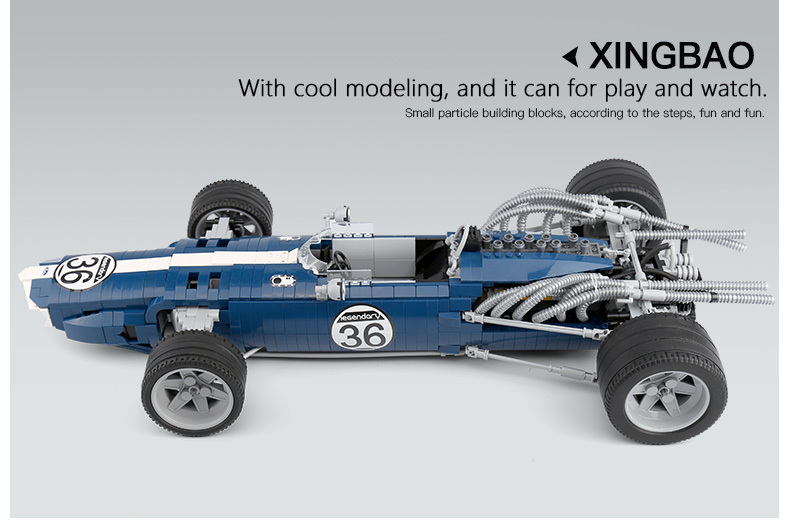 Just finished building this kit. 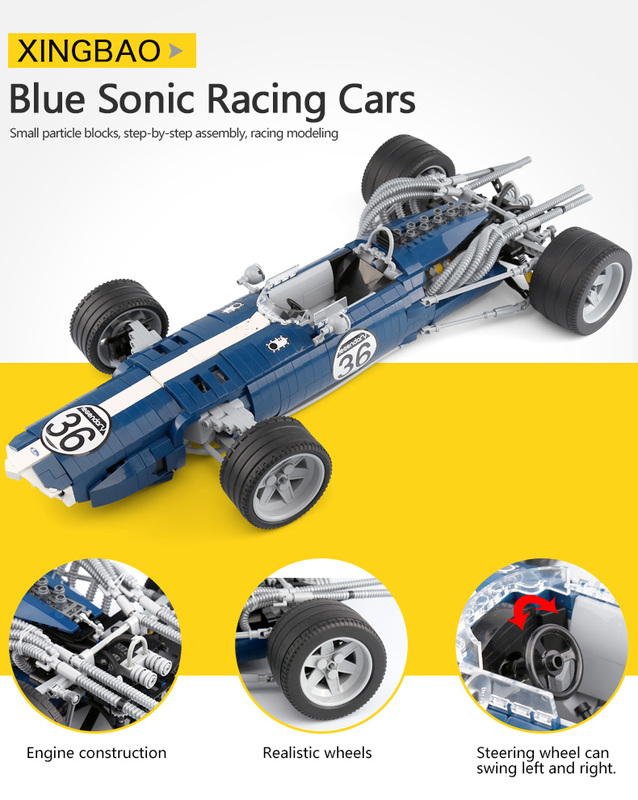 A very difficult build with lots of intricate sub assemblies. 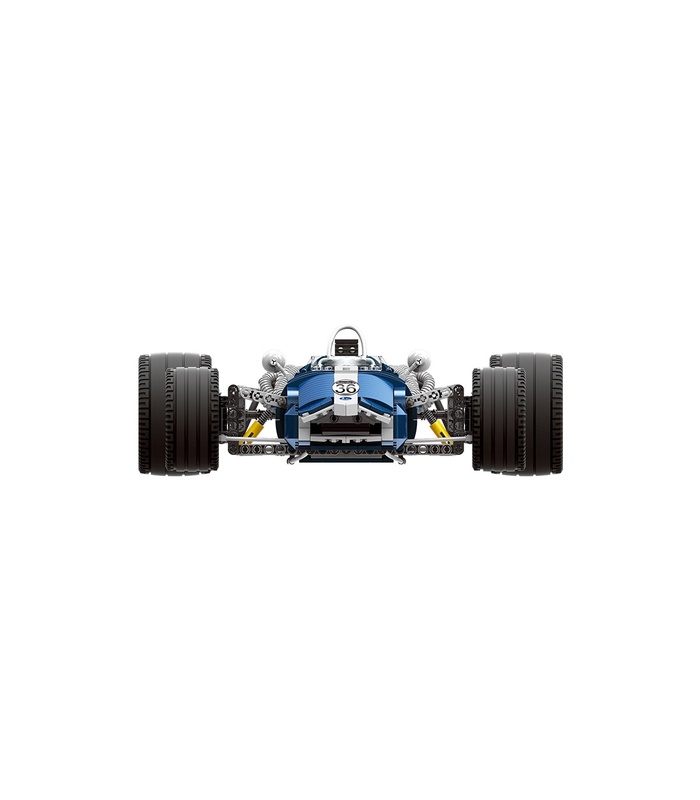 I found getting the exhausts correct to be one of the hardest. 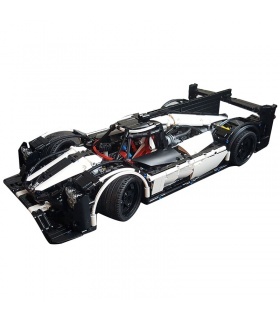 All in all a very satisfying challenge and the finished item is well worth the effort.